Amendment 7 of Belize’s Constitution clarifies the rights of Belizeans who hold dual citizenship. For sometime now there have been appeals for its review in order to confer full citizenship rights to Belizean-born citizens who possess dual nationality. In other words, if reviewed, this group of Belizeans would be able to participate fully in Belize’s political process by voting, standing in elections, and holding political office. They cannot do this, as of today, unless they renounce their other citizenship. Belize’s population is approximately one third of a million people, and it is known that more than one half of this figure live and work abroad. It is called Diasporan Belize. Most Diasporan Belizeans have dual nationality, and they, more than any other group, want the 7th Amendment to be revisited. In fact, it was in response to the demands of Diasporan Americans, that the U.S. many years ago allowed this category of its citizens the right to participate in American politics, even while abroad. There are three reasons why the 7th Amendment to Belize’s Constitution may not be revised by the Barrow administration, or that of the P.U.P. when it returns to power. First, the financial cost will be high, and Belize has no money. Second, the pressure on Belize’s human and institutional capacities to allow for voting outside of the country will be enormous; and these are severely limited. Third, and most significant, the political will is largely absent. It is fairly obvious that the Belizean Diaspora is deliberately misunderstood, undervalued, disrespected, and thus kept “in its place” – out and away from Belize. Indeed, among the blind at court, the one-eyed reigns as king. So, specious and stupid reasons such as divided loyalty, lack of commitment and national security risk are bandied around to keep this group of Belizeans at bay. Unfortunately, Belize is out of step with the times and the rest of the world. These days, almost every nation regards its Diaspora as a force for national unity, integration and transformation. Initially, what began as a brain-drain is now transmuted to a brain-gain. 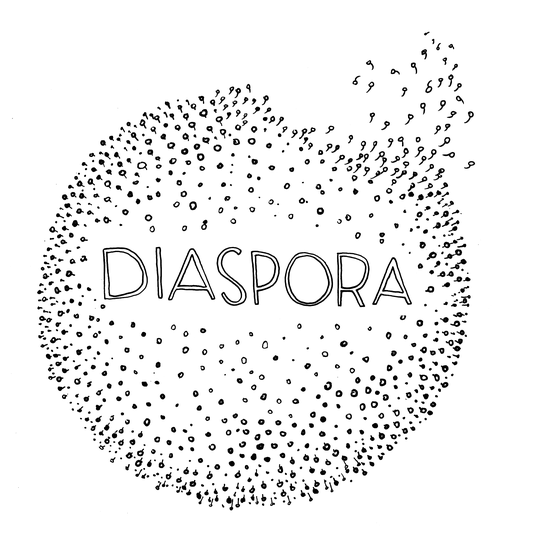 Diasporan communities and individuals tend to remit both economic and social capital – the latter being expertise, knowledge and experience in almost every field of endeavour known to man, which is transferred from the host nation to home. In Nigeria, the Minister of Finance, the Minister of Agriculture, the Minister of Industry, Trade and Investment, the Minister of Science and Technology and a one-time Governor of the Central Bank, are all Diasporan Nigerians. And, the U.N. has the development programme, TOKTEN, or Transfer of Knowledge through Expatriate Networks, in which Diasporan nationals with highly rated skills are actively encouraged to return home to serve their governments. What is the make-up of Belize’s Diaspora? Demographically it can be found in the U.S., Canada and the U.K., with tiny pockets and individuals in the Caribbean, a couple of Latin American countries and Africa. Based on recent U.S. census figures, the American arm of this Diaspora is about 160,000, and includes 70,000 legal residents and naturalised citizens, who are mostly Creole (Kriol) and Garifuna Belizeans. Generally, those who left Belize went as an educated and professional work force, and as students, while there were others who had neither skills nor prospects in Belize. Most of these first generation emigrants are now in their 60s, 70s and 80s; and one may be tempted to assume that because of age, national regeneration cannot emanate from this group. Still, it is instructive to remember that Galileo produced his most definitive work: “Dialogue Concerning the New Sciences” at 74; Grand Ma Moses did not paint until she was almost 80; Frank Lloyd Wright designed the Guggenheim Museum at 91; and, Mohatma Gandhi completed successful negotiations with the British at the age of 72! So, this group needs to be reckoned with on Belize’s road to national regeneration. This sector of our Diaspora, more often than not, experience the well known Diasporan dilemma of: Is it “here” or over “there”? This, clearly, is the constant shifting of the sense of self. A number of them may never return to live in Belize, or on return become so disillusioned that they may restrict themselves to flitting between “here” and “there”. The most intrepid will stubbornly remain and create their own oases. However, there is another group – the children and grandchildren of the first generation emigrants. If Belize were to creatively reach out to embrace them and encourage them to remit their skills, since a good number are not only highly educated, but are talented and have broad experiences; though perhaps with a diluted consciousness of Belize as “home” – our nation will be the richer for it. Belize needs to create an enabling environment politically and socially to allow Belizeans, wherever they may be, to participate and claim their stake in Belize. And, the first place to begin is to summon the political will to revisit the 7th Amendment. Our tiny nation-state cannot afford to irrevocably lose its Diaspora by playing mind games and shutting it out. Those Belizeans who emigrated to America can testify that the U.S. is not a country for the weak. It is brutal if you are poor, old, sick or uneducated, and even worse, a combination of all four. Before achieving the “American Dream” they had to survive the “American Nightmare”. Belize requires all those who succeeded in the challenging and often vulnerable situations that Diasporan existence brings, to assist in building a New Belize; whether as service providers, consultants, or entrepreneurs of small and medium-sized enterprises which will create jobs. But, do we have a directory of Belize Abroad and a data base of their skills, proficiences and ability to contribute, no matter how small? Are we fully aware of the contributions of our various Diasporan citizens to their host nations over the years and even today? Do we know what efforts they made both individually and collectively to Belize’s development in the past and present? Such contributions include personal or community investments, scholarships, books, computers, medical, humanitarian, educational and legal assistance, projects implemented at individual or organisational levels, the establishment of NGOs, as well as enlightenment, information, cultural and awareness interventions. Is there a new position to engage our Diaspora, to embark on a comprehensive programme to create, foster and adopt a pro-Belize mentality, attitude and future? Second, third and even fourth generation Belizeans, like the Jewish people do, must be regarded and treated exactly the same as “born Belizeans”. Again, the place to start is with a thorough review of the 7th Amendment of our Constitution. The review not only requires a profoundly patriotic and pragmatic definition of who can be a Belizean, but there is need to qualify exactly who is entitled to vote and can be voted for, can hold public office, and at which level and kind, based on this definition. In the U.S., which we are adept at mimicking, Henry Kissinger can never run for the presidency because he is a German-Jewish immigrant. It does not matter whether the only passport he retains is American. However, while a second generation Belizean child, born to “born Belizean” parents in the Diaspora, who has a second nationality by virtue of his birth abroad, is ineligible to run for the office of Prime Minister of Belize – a child born in Belize to Guatemalan or Taiwanese parents, who are naturalised Belizeans, is qualified to become our Prime Minister one day, if he so decides and wins his election. Belize is in dire need of a make-over: a new face, body, clothes and psyche. All this sordid business of Belizeans – all of whom had and have just the Belizean passport – desperately selling the family silver: Belize’s land and cayes for “peanuts”, the barefaced looting of the national treasury, privatising, outsourcing and pillaging vital national assets, industries, natural resources and services to foreign and parasitic local interests, “paper-back” Belizeans, relatives, cronies and stooges; and prostituting the Belizean passport in the international market to known criminals, fugitives and other disreputable characters, to such an extent, that sooner than later, our passport will become so useless that we will not be able to use it to even enter a zoo! Yes, all this must stop. After all, everything that has a beginning, must have an end. Every fat fowl has its Sunday! Our two largest political parties are generally riddled with people whose technical and professional skills, as well as moral compass, are largely suspect. “No rearrangement of bad eggs can ever make a good omelette”, C.S. Lewis warns. Just think of our many miss-steps, one of which is the need for the vulnerable nation of Taiwan, which hardly any nation “recognises” ( which China regards as a renegade province and is biding its time before re-taking) to balance our budget, and play “Big Brother” to us in almost every respect. Indeed, I no longer fear a Guatemalan take-over, because our Nemesis may well come from a source we least expect, when it’s search for a new home becomes manifest. History and politics demonstrate that a President or a Prime Minister is similar to a king. The king is most often a prisoner of his inner court – the ministers, mistresses, advisers, courtiers, aides, paladins, jesters and palace guards. Therefore, it is for him to rise above them all, and distil from the cacophony around, a singular message that will lead towards a legacy of greatness. When Belize in 1958, under the P.U.P., resisted joining the West Indian Federation, it was an act of pure racism. The people of the largely Black-African, Protestant, English-speaking Caribbean countries, had a history, culture and colonial experience fairly similar to those of the dominant Creole population in Belize at the time. In fact, the West African ancestors of the Creoles were mainly third and fourth generation slaves from Jamaica etc; which partly explains why Belize’s Creoles have such few African survivals vis-a-vis the rest of the Caribbean, as against the Garifuna who have so many. Notwithstanding, to the P.U.P. and the Catholic Church of 1958, these West Indians, on their overcrowded little islands, had to be kept out of Belize, by any means necessary. Less than three decades later, and under the same P.U.P., Belize warmly acquiesced to the U.S. initiative of the Reagan Administration – the same administration which invaded Grenada – when it permitted thousands of mainly illiterate, Spanish-speaking, Catholic, mestizo immigrants from the war-torn nations of Guatemala, El Salvador, Honduras, and even Nicaragua, to settle in Belize. Republican Reagan, despite his support for the Contras, various arms deals, etc. etc., did not want any more mestizos or Latinos in his United States of A. Then, in 1993, under the U.D.P. Esquivel Government of Belize, 40,000 more mestizos from Guatemala and El Salvador were summarily injected into our population. By these singular acts, the demography of Belize was immediately, and possibly, irrevocably changed, with mestizos, mostly new arrivals, comprising half of our population, with the once dominant Creole (Kriol) making up less than one quarter. This, was no accident. Small nations, with a sense of history, identity and sensitive to regional permutations, and international power-plays, like Israel, which is about the size of Belize, fiercely regard their people as their most precious natural resource and asset. See how 159 Palestinian prisoners can be exchanged for one Jew! And Israel can bombard the Gaza Strip with American arms for weeks, to the extent of almost obliterating it, and oblivious to international opinion, because of the murder of one Jewish teenager. Hence, the question of nationality, voting rights, the requirements for public office, and the fact that military service is compulsory for all Jewish citizens, (though this excludes Israeli-Arabs!) are non-negotiable and never to be trifled with. To become a citizen of the State of Israel is not an all-comers affair; and not for every Tom, Delores and Heng. Since every Diasporan community make meaningful contributions to the development of their original home country, through economic and social investments, despite the fact that some are far richer or more successful than others, it is only fair that they are allowed to be fully integrated into the political process at home. This not only augments their sense of still belonging, but it guarantees their continued interest to assist in implementing the national agenda. This has been the case as far back as the days of the Roman Empire, when Roman citizens, in the far flung reaches of the newly established colonies, voted for candidates to city offices in Rome. This was in the reign of Augustus, circa 62 BC to 14 AD. The votes of these citizens were sent under seal to Rome for the day of the elections. Nearly all the world’s developed nations allow their Diasporan citizens to participate in the political process at home. There are 115 countries and territories which practise this, with 41 in Western, Central and Eastern Europe, 20 in Asia, 16 in the Americas and 28 in Africa. While some Diasporan votes do affect election outcomes, as was the case recently in the Dominican Republic, this was less so in Mexico and Venezuela. At times, Diasporan voters can improve the fortunes of the ruling party, or those of the Opposition, as the case may be. There are four voting methods and options generally adopted. There are 79 countries which allow voting to be done in person, with the remainder using the post, fax, and the internet, or permitting voting by proxy. In the end – what is home? Home can be tangible, as well as permanently elusive! I still recall the reply a defendant gave my husband many, many years ago, when he was asked where he lived during a San Pedro court hearing, on an occasion my husband presided. “Where do you live”? “I don’t live anywhere”, was the reply. “Then, where do you sleep”? “I sleep wherever night catches me”, was the final answer. My favourite definition of home, as against “wherever night catches me”, is: ” A safe place where one is free from attack, where one experiences secure relationships and affirmation . . . where relationships are nurturing. The people in it do not need to be perfect, but honest, supportive, recognising a common humanity that makes all of us vulnerable”. And, while blood may make us related, it is only loyalty which makes us family. It seems to me from all this, that a genuine Belizean is that person whose feeling for Belize is borne out of love, possibly memory, concern for and loyalty to Belize, irrespective of where such a person lives, and how many passports s(he) holds. Love for Belize over-rides family, ethnic ties and religion: because the interest of our nation-state, and its people, are not only paramount, but supersedes every other. It is obvious, no passport alone can ever imbue any individual with this.